Gloria Malek is a leading Investment Advisor with TD Wealth Private Investment Advice, working directly with Dentists, Medical Doctors, Executives, Professionals, and Retirees, providing them with comprehensive Wealth Management solutions that encompass retirement planning, tax minimization tactics, estate planning, wealth transfer, legacy creation and lifestyle protection strategies. Gloria holds a Bachelor of Computer Software Engineering from IAU and a Bachelor of Commerce from York University, as well as numerous investment designations. 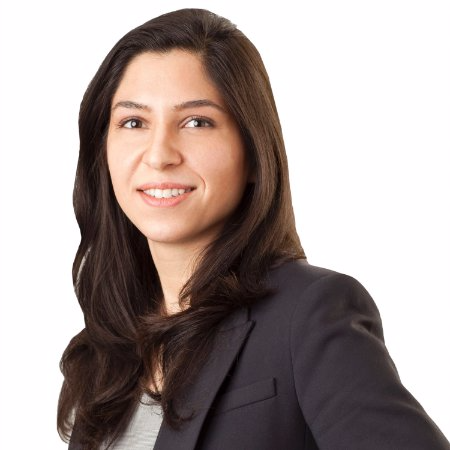 Prior to joining TD Wealth Private Investment Advice, she worked on Bay Street at TD Asset Management and BMO Global Asset Management, in roles providing investment recommendations and advice to Investment Advisors across various financial institutions. Outside of the office, Gloria has a bold presence in a few charitable organizations in the community including DSAT in support of persons with Down Syndrome and Dress for Success in support of women seeking financial independence. Gloria lives an active lifestyle in Downtown Toronto, is an avid animal lover, enjoys taking her fluffy dog on hikes, making wooden and leather crafts and listening to Classic Rock music. By striving to focus attention on the true drivers of performance, our mission is to apply investment discipline with a transparent and straight forward process to help clients feel comfortable. We use a disciplined rules based investment process that allows us to avoid common investment mistakes based on emotion, intuition and conflicts of interest. Our process was developed and improved upon over years using my background in both engineering and finance. We have a multi-year performance track record and will be happy to share and compare with any other stock portfolio/Mutual Fund/ETF. Understanding your goals and priorities, and working with you to create a comprehensive plan to help ensure you can achieve them. Leveraging TD Wealth specialists in areas of taxation, estates, trusts, business structure and succession planning, as well as insurance will help to ensure that the various aspects of your financial needs are covered. Providing access to institutional mandates that are otherwise not offered to retail investors which can help enable financial stability and growth.